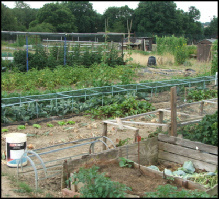 Allotments are provided to enable residents of Uckfield to have access to space where they can grow produce for their own consumption, whilst enjoying the social aspects of allotment gardening in a green and healthy environment. The Council supports the use of environmentally friendly methods and promotes rain harvesting systems, such as water butts. Plots vary in size and all sites have a water supply. The cost of an allotment plot from 1st October 2018 to September 2018 is £2.24 per 15sq metre, plus an additional water charge. Tenants will be required to submit a deposit of such an amount as the Council may from time to time decide, which will be refunded at the time of cessation of the allotment tenancy provided the plot is left in a satisfactory and rentable condition. The deposit for 2018/2019 is £50.00. 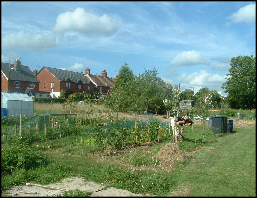 The Town Council has introduced an annual allotment competition with each plot holder being entered automatically. Judging takes place in July of each year by an independent person and categories include best allotment on each site and best overall allotment. 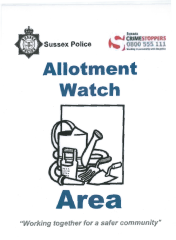 Should you be interested in renting an allotment please contact the Council Offices or allotments@uckfieldtc.gov.uk to add your name to the waiting list. CARPETS must NOT be used for weed control on allotments.